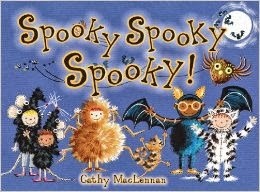 It's one week until Halloween. Seb will be one day shy of 18 months old, so he doesn't really get it, but it's fun to celebrate just the same. Here are a few little things we do to make Halloween special at our house. Every year I like to buy one decoration to add to our home. Two years ago, I bought that burlap Halloween bunting. You can find a similar one on Etsy. 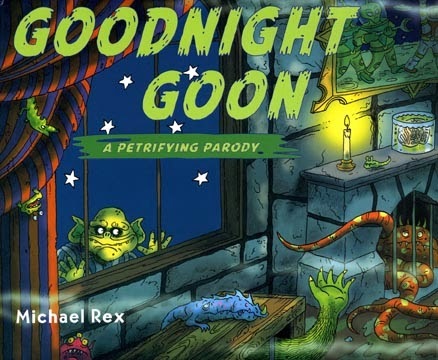 Then last year I picked up these two board books: Goodnight Goon and Spooky Spooky Spooky. 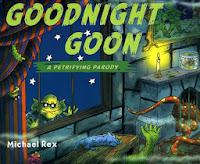 Goodnight Goon is a nice little break from Goodnight Moon which is often in rotation at our place before bed, and Spooky Spooky Spooky is the perfect length for toddlers. This year, I found these pumpkin gel clings at Target, and S loves helping us count them. Our Halloween pièce de résistance is Ghostie. My husband, Rob, is a computer graphics guy so for the past couple of years we have projected this little ghost video out of our bedroom window onto our front lawn. The first time we did this, Ghostie just floated around the lawn while the kids chased him down and jumped on him. Last year, Rob controlled it from our iPad. Ghostie would float around randomly, and then just as the kids caught up with him, Rob would move Ghostie out of the way, resulting in much squealing and more running and jumping. We have new neighbours from England across the street, and this will be their 5-year old's first Halloween. I can't wait until he sees this! 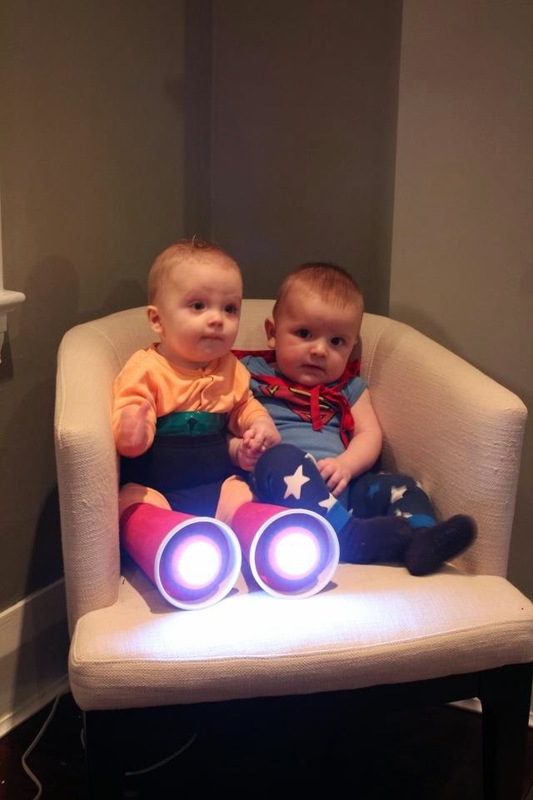 Finally, here are S and his best friend on Halloween last year. They were Astro Boy and Superman. Yes, they are holding hands, and yes, the cuteness factor was pretty high. We are hoping to recreate this pic with the boys again this year, but they are much squirmier now so we'll see if we can get them to sit still for a photo op!